May 18, 2016 - TheUrbanMusicScene.com | Music Reviews! Singer-Songwriter Gregory Porter has settled into a cozy, pleasantly ambiguous style of musical storytelling that is as poetic, comforting and life affirming as it is spiritual and jazzily spirited. 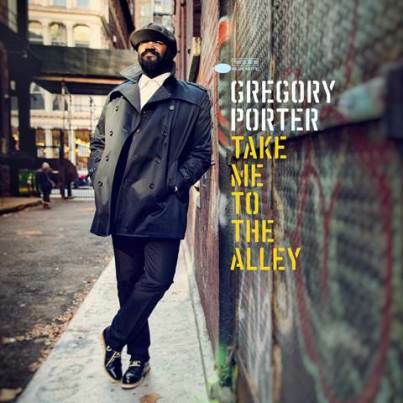 Supported by his outstanding band and special guests Lalah Hathaway and KEM, Porter’s fourth offering, Take Me To The Alley, brims with grown folks reflections and perspectives on life and love, delivered by a man who is unquestionably this eras answer to Bill Withers and Terry Callier.